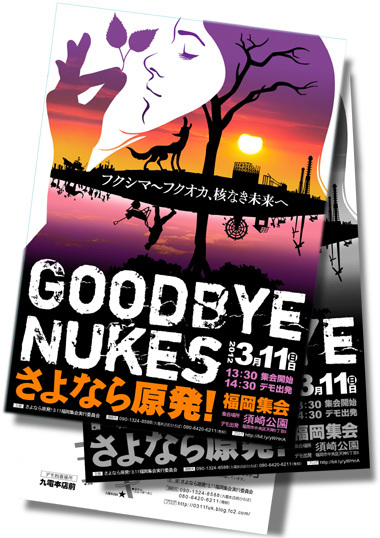 About 15,000 people gathered in Fukuoka’s Maizuru Park to say NO to nuclear power plants and the Genkai Nuclear Power Plant in particular yesterday according to the organizer of “the Goodbye Nukes! 10,000 People’s Rally in Fukuoka”. In addition to people from Kyushu and Yamaguchi, about 300 groups from South Korea participated in the protest. This was the largest anti-nuclear plants event ever held in Kyushu, reported Ryukyu Shimpo, Okinawa’s local newspaper. 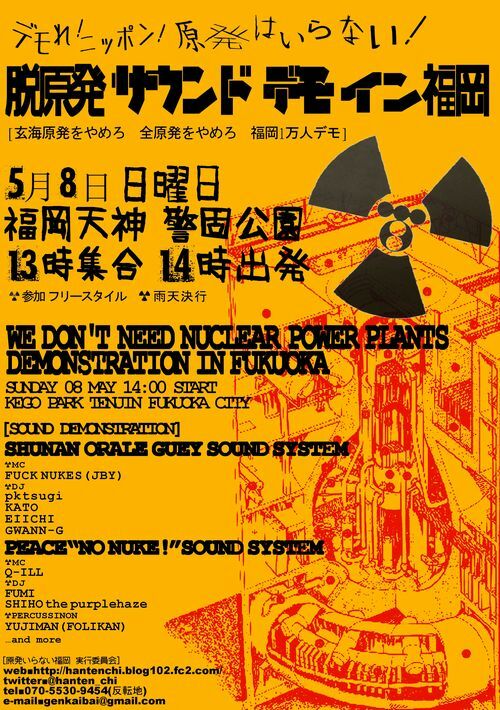 There will be a big anti-nukes event in Fukuoka this coming Sunday. 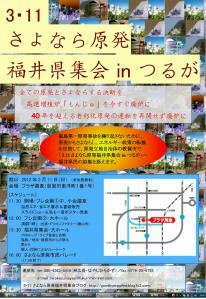 It’s been organized by the people from Kyushu, Okinawa, and South Korea. They called it as the Fukuoka 10,000 People Rally. Despite scattered rains, more than 10,000 people marched against nuclear power plants in Tokyo last weekend. Two protesters were arrested (see the video below). To see more videos from the 5.7 demo in Shibuya, check out HERE. In Kobe, around 450 people came to protest according to the organizer. They raised 75,000 yen (roughly US$940) for Tohoku people. In Fukuoka, around 1,200 people showed up to say no to nuclear power plants according to the organizer. At the Shibuya demonstration, four protesters were arrested. Two of them have been released already, but the other two have been still detained at Harajuku and Yoyogi Police Stations as of May 9th. Please see the detail HERE. ＊Thanks to all Mothers＊　Give Mothers A Save World!